Sadie Storm is determined to break free of her past. She wants to focus on her singing career, but her ex-lover, Jonas Pratt, won't let go. She knows too much about Pratt's criminal associates, and Pratt has other plans for her. He finds her in the islands sailing on the charter yacht, Diamantista II, with Connie Barrera and Paul Russo. Attempting to kidnap Sadie, Pratt miscalculates and incurs Connie's wrath. When Connie falls back on skills from her own shady past, Pratt meets his match, and Sadie gets a fresh start. 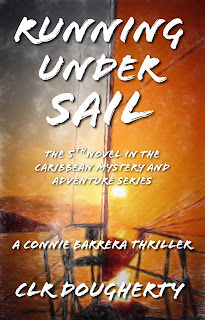 Running Under Sail is the fifth book in the popular Connie Barrera Thriller series. Get your copy now. To read a preview of Running Under Sail - A Connie Barrera Thriller, CLICK HERE.